In the days after a far-right rally in Charlottesville, Virginia descended into violence, evidence emerged that proved not just beyond reasonable doubt, but beyond ALL doubt, that the “very fine people” who descended on Charlottesville were responsible for what happened. Unicorn Riot obtained screenshots from several months worth of chats on the rallygoers’ channel at Discord. They reveal that a significant element was actively spoiling for violence. Those screenshots are now front and center of a lawsuit that contends that the organizers engaged in a conspiracy to stir up violence and racial hatred. The plaintiffs contend that as a result, the organizers are responsible for injuries suffered by 30 counter-protesters on the weekend of August 11 and 12, as well as the murder of Heather Heyer, who died when a neo-Nazi drove his car into a crowd of counter-protesters. Read the complaint here. It was filed on behalf of nine people who helped organize or took part in the counter-protests. Four of them were nearly killed when James Fields plowed through counter-protesters on Market Street. Others were beaten and harassed over the weekend, and one was the target of vicious trolling by the notorious neo-Nazi site Daily Stormer. Fields is named as a defendant, along with a virtual who’s who of alt-right/white nationalist activists. Among them are the nation’s most infamous neo-Nazi, Richard Spencer, “crying Nazi” Christopher Cantwell, Daily Stormer publisher Andrew Anglin, and the rally’s chief organizers, Jason Kessler and Eli Mosley. Also named are a slew of white nationalist organizations, such as Daily Stormer, the Traditionalist Workers Party, Identity Evropa, and the League for the South. The plaintiffs contend that the defendants, along with a host of co-conspirators such as David Duke, plotted to deprive them of their civil rights by encouraging their followers to stir up violence. Under federal law, if the plaintiffs can prove the existence of a conspiracy, the defendants can be held responsible for all of the actions of the conspiracy’s members. The plaintiffs’ lead attorney, Roberta Kaplan, modeled the Charlottesville suit on a 1999 suit against the American Coalition of Life Activists, a militant forced-birther outfit that maintained the “Nuremberg Files,” a Website that doxxed abortion providers. Planned Parenthood sued, contending that the site directly contributed to the murders of several doctors profiled on the site. Ultimately, ACLA and Horsley had to cough up $100 million in damages–later reduced to $4.7 million on appeal–and take the Nuremberg Files offline. 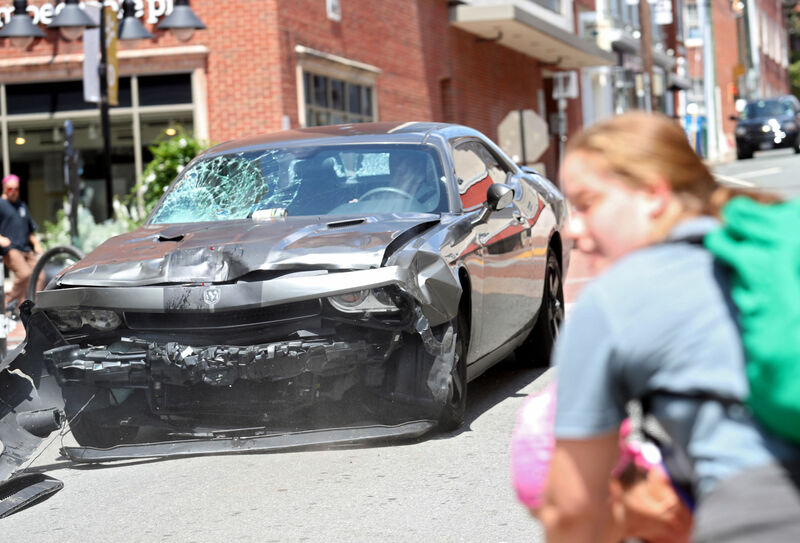 The plaintiffs are using the defendants’ own words and social media posts to bolster a contention they make early on in their complaint–“the violence in Charlottesville was no accident.” As early as a month before the rally, several users were openly discussing the legality of running over counter-protesters with cars. Users were also openly discussing plans to attack counter-protesters. Users were also posting pictures of themselves with weapons. And several of them still wanted to march even after word got out that Heyer had been murdered. The complaint reveals numerous other instances where violence was openly discussed on Discord, and accuses Kessler and Mosley of making no effort to rein it in. For instance, Cantwell is quoted as telling listeners of his podcast, Radical Agenda, to bring concealed firearms. Numerous posters talked about using batons, pipes, wrenches, and rocks. One poster created a promo code for users to buy stun guns, Tasers, pepper spray, and batons. Indeed, the FBI was alarmed enough about reports of armed white nationalists descending on Charlottesville that it sent private threat assessments to the Charlottesville Police Department. The defendants have sought to have the suit thrown out, contending it is “lawfare” intended to stifle their First Amendment right to free expression. For instance, Spencer claims that his colleagues were merely using “harsh and bold words” that are part of “the reality of political protests.” Um, Richard? How do you explain the open discussions about using weapons? That goes way beyond “harsh and bold words.” As a Carolina man to a UVa man, I thought you’d know the difference. Maybe not, but at the very least these thugs will have to answer for the violence they caused–and for killing an innocent woman.